Mantis is the leading trunk shaker picking mechanism in the industry. It is unmatched in its speed and effectiveness. The Mantis is designed to be used on cordon pruned vines especially quadrilateral trellis systems. The rails automatically adjust to the width of the vine trunk exerting a continuous force on the vine for smooth, fast, effective harvesting. Full contact rods can be added to the "C" arms for harder to pick varieties. 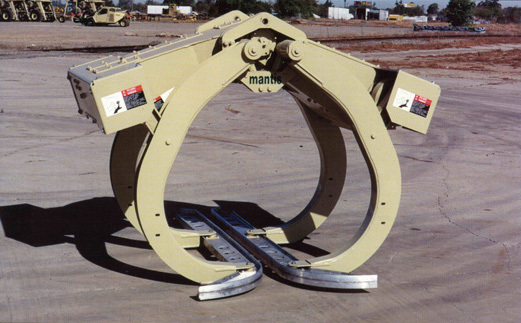 The Mantis' versatility makes it the mainstay of many custom harvesting concerns. 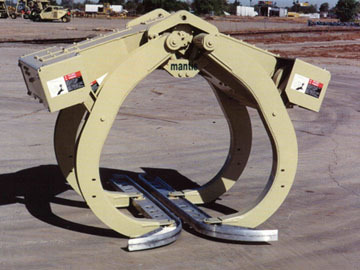 Mantis comes with a variety of "C" arms to fit different trellis systems. Our new all steel "Tuff Rails" have a substantially increased useful life.